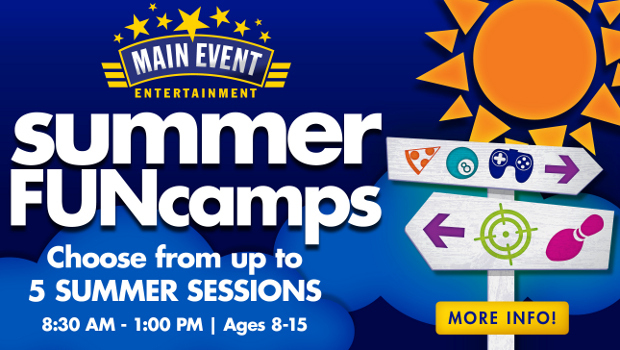 Main Event Summer FUNcamps Discounts! HERE for details and discounts! Previous postCave Tools Digital Cooking Thermometer Review ~ A Must Have For Holiday Cooking! Next post$2.99 Taco Platters at Taco Bueno Today! !